Designed for the tough, everyday conditions encountered by Toro air and liquid cooled engines. Outstanding anti-scuff protection with added zinc and phosphorus. Gas and Diesel Engine compatible. Extreme Condition - consistent performance, from bitter cold to scorching heat. 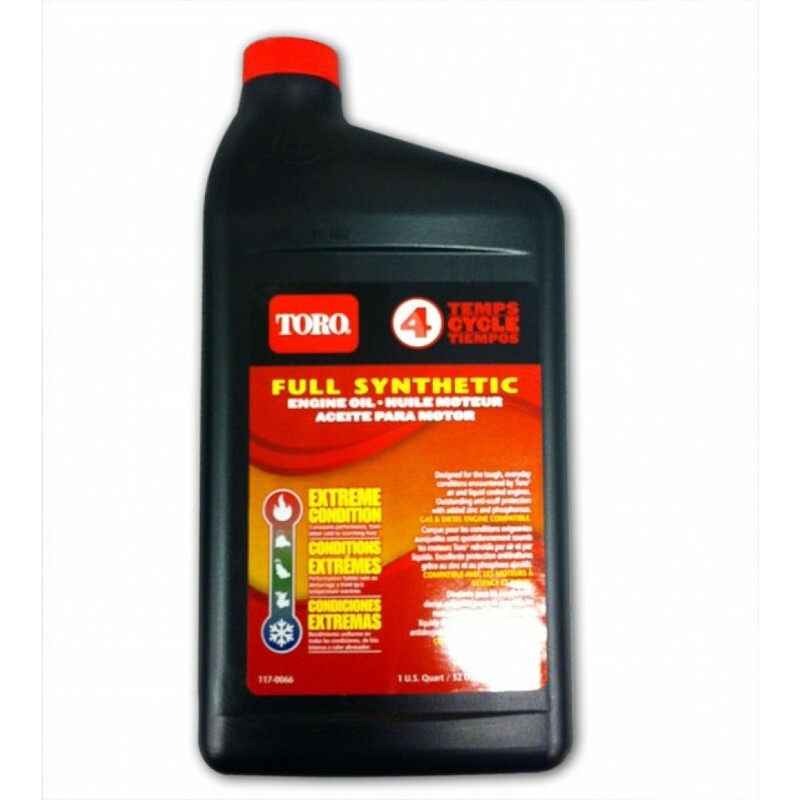 For use in applications specifying SAE 30/10W-30 For use with any Toro motorized product, including Toro products with a Kawasaki ®, KOHLER®, Honda®, Daihatsu ®, or Briggs & Stratton® small engines.